Over the summer my family was lucky enough to go on a dream vacation. We traveled to the Bahamas on the Disney Dream — a Disney Cruise Line vacation. It’s no exaggeration. A Disney cruise will ruin every other cruise line for you. The level of service, the kids club, dining–everything–is everything you can expect from a Disney vacation. We had a blast! I researched prior to the trip and packed most of what other bloggers suggested. I have never been more prepared for a vacation in my life! Even so, there were a few huge mistakes I made on our cruise. Fail #1 I didn’t take photos. I brought my phone, my camera, and my photographer brother-in-law. I still didn’t get many pictures! At the time I wanted to be in the middle of the fun and not behind the camera. I could have at least packed my smartphone camera lenses! But now that the cruise is over, I regret not having more photos documenting the trip. I always bring my camera places but get caught up in the fun so my camera tends to stay in it’s cool bag. I also plan to leave my 75-300 lens home and just bring the more versatile 50mm lens. (If you plan to bring one make sure you get a UV filter! )But, now that the fun is over I regret not having more photos. Disney has a great photo service on board the cruise ships. Unfortunately, I never made it to the kiosks to grab any! The ship was so big that I was always lost lol. Next cruise I am going to get one of these pocket deck locator cards. I wish they were available for longer after the cruise. Fail #2 Scheduled our “fancy” dinner on the same night as the pirate party. We waited so long to schedule our “adult only dinner” that the time slots were filled. (Granted, I think they fill months before we even booked the cruise.) We ended up taking a surprisingly open evening slot. It turned out that it was available because it coincided with the Pirate Party. We had great costumes. After dinner, we rushed back to the cabin to change and grabbed the kids from the Oceaneer’s club. However, we only made it to the tail end of the party and most of the families still partying were not in costume! 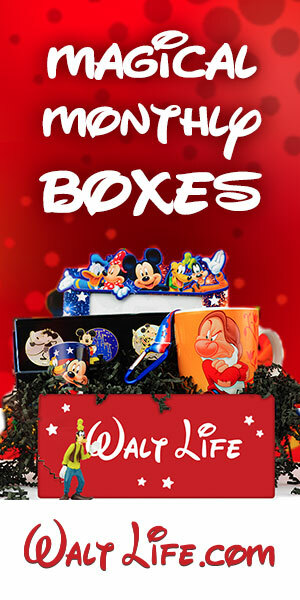 It’s a good idea to bring your Disney gear on board since the ship’s stores can be pricey. We ordered stuffed animals and my daughter’s princes costume from the Disney Store. My husband was only home visiting during this trip. He had already been away from the family for seven months so when we were on vacation we were reluctant to put the kids in the kids club. The kids wanted to spend a little more time in there. I mean, how cool is this Toy Story decor??? It reminded me of all the times they watched the movie when they were kids and the Toy Story room decals they had. I need to check Amazon Prime Video to see if it’s on there. If you haven’t tried it, sign up for the free trial. This goes along with Fail #3. We missed whole sections of the ship. We forgot that now that we are parents, it isn’t as easy to party all night as it once was! Fail #5 We didn’t ride the Aqua Duck as many times as we would have liked. I ignored all the tips I read that said to wear swimsuits during embarkation so that you can go play on the Aqua Duck without all the long lines. I totally regret ignoring that tip. I could have happily skipped one of the Castaway Cay days just to ride on it all day! We waited until the last day of our five-day cruise to visit the pool. We have a pool at home so it seemed like something that we could “do later.” I was shocked when my little girl, who is terrified of rides and water slides, decided she loved it after one go. I would book another cruise today if I could just to spend a few hours on it with her. Fail #6 I packed so much stuff! I may have over-researched. We didn’t actually need the jellyfish sting wipes or all the casual clothes we brought. I didn’t even use the underwater cameras. (see Fail #1) I do wish I had packed my own wine glass though 🙂 I did pack a perfect number of dinner outfits/dresses. Since most of the days were spent in swimming suits, I really didn’t wear all the extra shorts and tops I brought. They also have laundry facilities on board! Parenting tip for moms: Always pack a little laundry detergent. I put Tide pods in a small plastic container. Want to know what I am glad I did pack? Booking another cruise and ROCKING IT! This time, I would book a 7-day cruise and spend more time planning our schedule. I would have to keep it flexible, though. We hate to be on a schedule during vacation. It’s the opposite of “relaxed,” after all. With a Disney Cruise, you pay for the experience, magic, and the service. It might take us a while to save for another one. 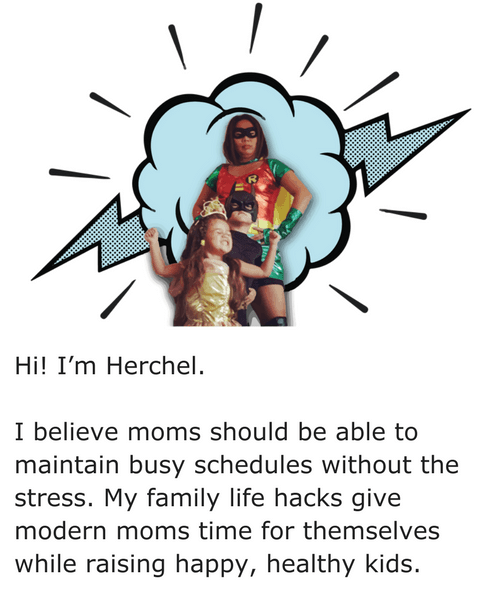 Want to find out information on scheduling your own magical vacation? Get a quote now! Have you gone on one? 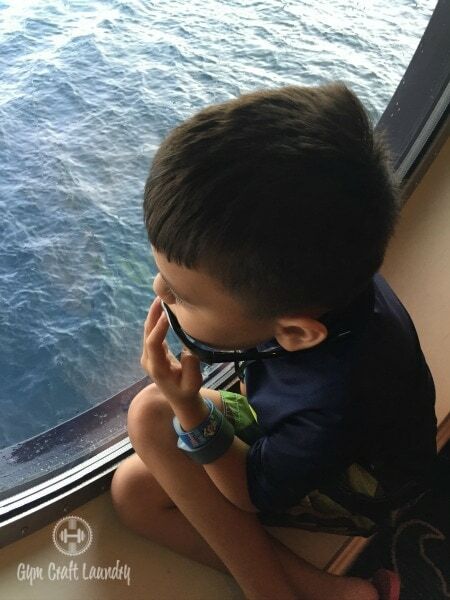 What tips would you give someone planning their first Disney Cruise? 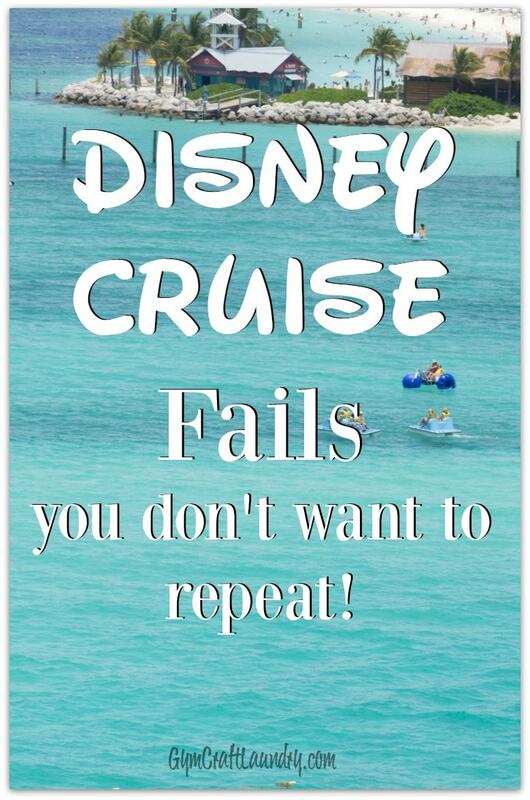 Did you have any epic Disney Cruise fails of your own? We’ve had other adventures too! 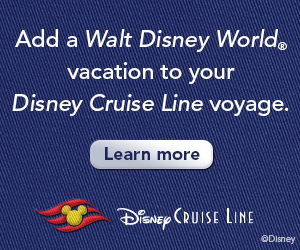 Check out our other Disney Cruise Line Tips. We’ve opened up a Christmas shop on Etsy based on our popular crafts! The Gym Craft Laundry community gets our biggest discount! Use the coupon code GymCraftLaundry at Hanging with our Gnomies! You’ve convinced me. I am thinking my kids are of a good age to cruise now. We did a Western Med cruise in 2012 before we adopted Zack and I”m dying to go again. Disney sounds PERFECT. You’ll love it! My husband is kind of meh about Disney but even he enjoyed the cruise. We went on a Disney cruise a few years ago and it was the best. My husband and I aren’t huge cruise lovers, but to Disney’s credit, they outdo themselves time and time again. The customer service is great. The food is varied and very well positioned for those with sensitivities or allergies, too. Overall, we had a great experience. Like you said, there is never enough time because there is so much to do. Glad you had a wonderful trip. This will help me planning our cruise. Thanks for the tips!! 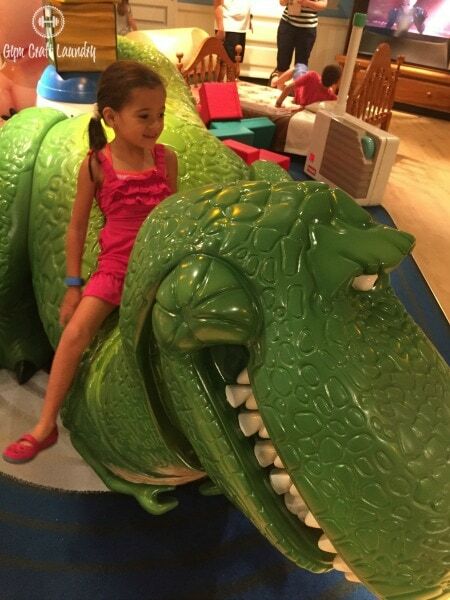 You don’t have to have kids in order to enjoy the cruise. 🙂 That’s probably my biggest tip. My husband and I (in our 30s) don’t have children, but we have taken 2 Disney cruises with his parents (in their 60s) and loved them both. People have asked us about that because in most people’s minds Disney = kids everywhere. That’s just not true. As you pointed out, there are plenty of kid zones, plenty of teens-only zones, plenty of family zones, and plenty of adults-only zones. There’s something for everyone, regardless of age or family status. The adult-only restaurants are a must, if you can swing it. A little more fancy than I’m used to, but that’s the fun of it! One of the reasons you might have difficulty booking is because SO many want reservations, and priority is given to those who have cruised before. (My in-laws are also members of the Disney Vacation Club, and I think that may have some bearing on booking as well? Whenever we cruise, we go with them and they make the reservations through the club, using their points to cover the expense of cabins, or we’d probably never be able to save up enough to do all that we’ve done). If you’re not travelling with children, Serenity Bay (adults-only beach) is our favorite part of both cruises we’ve been on. In-laws sprung for a cabana the second trip – HIGHLY recommended! Especially if you have cruise party-members with special needs who still want to enjoy the beach. FIL has been having trouble with eyesight and walking, so without the cabana and accompanying services, he wouldn’t have been able to experience Castaway Cay at all. Not that there isn’t plenty available still on the ship. My biggest regret from our first cruise (remedied on our second) was not booking any excursions. Our first trip was Bahamas, and when we came into Nassau, hubby and I just walked around on our own. We found a pirate museum that was entertaining enough, but then went back to the ship for the rest of the day. I was kind of disappointed, and when we got home and talked about our trip, so many people told us that we missed all the best of Nassau by not knowing what we were doing. Second cruise was to St. Maarten, St. Thomas, St. John, etc. and this time we booked tours of each place and were so glad we did. We love learning about places we’ve never been before and photography, so that was perfect for us. Thanks for sharing your wisdom through fails! Have never been on any type of cruise before, but a Disney Cruise is top of the list – we are DVC members, but it’s not value for money to do a cruise with points, so will probably wait for a windfall and blow it all on a Disney Cruise! Ha! That’s what we did.I want to go on another one but it isn’t in the budget right now. We go June 20th on the Dream ! I’m so jealous! I want to go on another one sooo bad! Great post! I leave for the Dream on July 25th and cannot wait! I’m jealous! We had so much fun on our cruise. Have fun and take pictures!! Really, really points! I say these things to people all the day and they don’t listen to me. Also, did you know that you can pre-purchase the pictures that the onboard photographers take? And it’s cheaper! I wish I had know about pre purchasing the photos! Is there a way to make payments for Disney cruises prior to going? Hi Julia, I am not sure. Check out https://disneycruise.disney.go.com/ they should have that information there! In the research I’ve done so far, yes you can make payments. But it is best to go through a travel agent so you can get added perks. I asked my facebook page and got varied answers! I went in July and once in September. Both times the weather was beautiful. However, I did have someone say that it is better to go from Jan through June to avoid hurricane season. Hope you have fun! 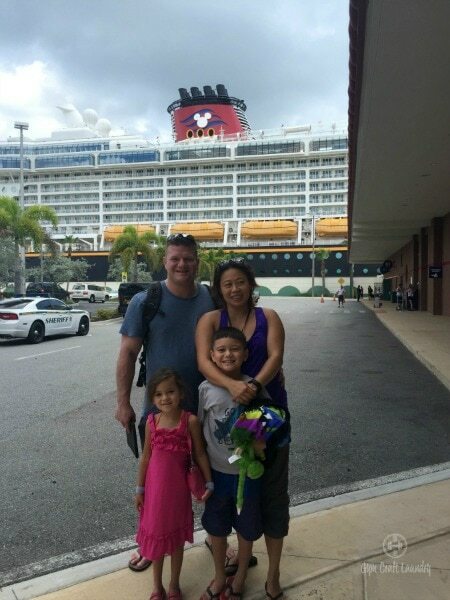 The Disney cruise is perfect for families. We can’t wait for our Disney Wonder cruise Feb. 2017. (Yes, we are making payments on the DCL website.) My question is: Does anyone know what the best/safest/most inexpensive transportation options are to get to Port Canaveral from Orlando airport. Out flight gets in at 6am so we have plenty of time to get there…? So excited! 176 days to go! We used the Disney transportation. I’m not sure it’s the cheapest, but it was the easiest. We boarded our plane in Indianapolis and didn’t see our luggage again until it was at our stateroom. So nice not to have to drag it with us anywhere. My family chose to participate in the fish extenders program. It was so much fun coming back to our stateroom to see what goodies had been left for us! We received some really cool gifts! We didn’t plan our cruise far enough in advanced so we weren’t able to do the fish extenders program. I plan to do it next time, though! How exactly does the FE work? Does Disney give you the names of other FE participants and you buy for them and they buy for you? Is it only for your deck? I would love to do that. Hi, I never did Fish Extenders but I asked a friend. It isn’t run by Disney at all. Search in Facebook for groups named “Whatever cruise ship you are one, debarkation date, and Fish Extenders” and that’s where you can sign up. We took our very first cruise ever on the Disney Dream in September. IT WAS THE MOST AMAZING EXPERIENCE!!! Totally worth every dime!!! I do recommend that if you want to snorkel or float or even bike ride while at castaway cay that you book early on the site it saves quite a bit of cash!! Only wish we had booked an excursion in Nassau because we waked to the nearest beach but it was small and kinda of dirty. There was litter and trash in the beach. My daughter and I spent a few mins just picking up trash and throwing it away, Onboard the ship there is nothing that I was disappointed with!! Disney EXCELS in service and quality. I can’t wait to go again!!! We only did a 4 night cruise because we were first time sailors and I was unsure how my kids would react. We didn’t need seabands or motion sickness meds. For the most part you don’t even feel like you’re on a ship. My daughter and I loved the nightly shows!! I could go on and on about our experience…..
We just got back from a 3 day Bahamas cruise. The biggest 2 things I would change for our next one is 1. Book a longer cruise. It went by way to fast. We wanted to make sure everyone could tolerate being out to sea. We loved it! 2. Save up to book some of the (unfortunately expensive) excursions. We loved castaway cay but we’re not quite as taken with Nassau. Great article and all true. We never take enough pics either. Also, haven’t utilized Oceaneers Club enough so that we could spend more family time together because my hubby is also headquartered away from us. Like you mentioned, the only way to fix these is to go again! 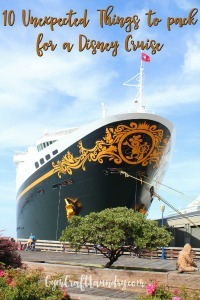 We have been on 10 Disney Cruises as a family of six and they just keep getting better. You can find our unique Disney Cruise hacks here: https://clewtravel.com/2017/02/22/disney-cruise-hacks-tricks-and-tips/ that will certainly help you not have as many “fails” next time! OMG!! We did the same thing with the photos and the fancy dinner! We totally missed fireworks at sea which was a total bummer. Next time we will def. be toting the camera around with us more. I was so disappointed! The meal was delicious but my kids missed out. Tip for younger kids do second seating for dinner. After a busy day they need a nap. Our 5 yr old slept thru dinner because she was worn out after a day of excursions. Our kids love the kids club on the magic. (Our 1st Disney cruise) We love it so much that we got 2, yes 2 souvenirs 9 months after the cruise. Their names are Molly And Miley. Our kids say their must have been “magic” on the Disney Magic since we ended up with twins. Lol We are planning our 3rd cruise in 8 months on the fantasy. That is amazing!!!! There must have been lots of magic on that cruise lol. I wish I had a list of what clothes to pack. Like 3 bathing suits, 2 shorts, 2 nice dresses, etc. We are going on the 5 day Magic cruise and I hate overpacking because I do it all the time. Ugh! Do you have any clothes list of what you would recommend? First I have to be completely open. I have never gone on a trip (even a day trip) WITHOUT overpacking! It’s a personality flaw. We went on a five day cruise. So in my opinion the most important clothes are the bathing suits and dinner outfits. 2-3 bathing suits per person is what I recommend. If you bring clothes pins or command hooks you can dry one while wearing the other. Realistically, when you are swimming or lounging on castaway cay you aren’t wearing casual clothes. What I overpacked were shorts and tees. We spent most days wearing our suits and cover ups for my daughter and I while my son and husband simply put on tee shirts and wore their swim trunks. For dinner, bring nicer but not fancy unless you have a reservation at a fancy restaurant on board for each night you are on board for dinner. Then pop a laundry detergent pod or two in a plastic container so it doesn’t get squished in your suitcase and do a load of laundry if you need to! Did you download my free packing printable? You gave me a great idea. I am going to poll other past cruisers about how many and what outfits to pack for each cruise and will send the results out in my Disney newsletter. I haven’t cruised in each shop but since my 10 year old put it on his bucket list of things he wants to do with our family before he moves out, it’s my goal to experience each ship lol. Thanks girl! I just downloaded your packing list. I am going to take photos of the outfits I pack so I can keep track of what I use and don’t use. I REFUSE to do laundry on this trip, hehehe. I am probably over thinking what I’m going to wear, but I love packing and putting together outfits for trips, it is part of the traveling experience for me. I love that I stumbled across your blog on Pinterest. Thanks for responding! My family had never had a ‘FAMILY VACATION” in our lives so I worked a 2nd job for 8 months and took 7 of us on the Disney Dream for 4 days. 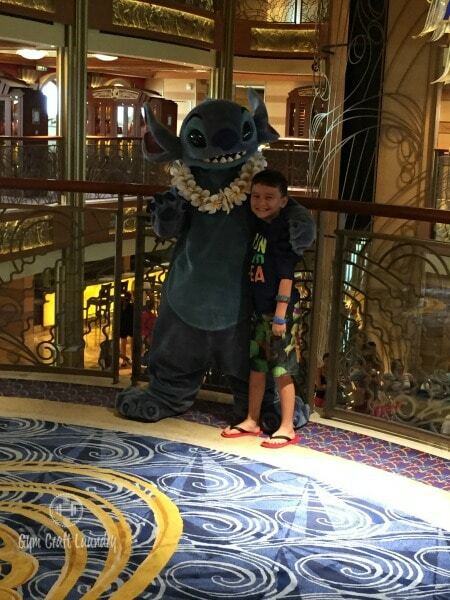 I am getting ready to book the 2nd Disney Dream cruise in April 2019 and would also like to share what I did previously, and learned to make the next trip better. 1st I bought snorkeling gear at the dollar store, as well as some sand and water toys for the kids to enjoy at Castaway Cay. I packed a separate suitcase just for them. It was on wheels so it was very easy to take on the way and saved quite a bit of money from renting equipment and gave them a fantastic experience. 2nd I discovered that is a GREAT idea to check with the front desk immediately upon boarding as they usually have limited tickets for special events such as a Princess Gathering where my granddaughter was able to meet and greet all the princesses and have her picture taken with them. I did pre tipping and paid for that with the cost of my cruise itself so I did NOT have to carry my cash or credit cards with me anywhere. Which brings me to a very important piece of advice, DO NOT use your debit/credit card in the bahamas. My daughter bought some items with her debit card in Nassau and within a few hours and into the next few days all her money was gone. There were other purchases made in Nassau with her card even after our ship had left port. A few things I am changing up this time. I am booking for an extra day, so now 5 days and 4 nights. I plan to pre purchase a photo package. I took many pictures with my own cameras, BUT DCL have photographers everywhere and the pictures are kinda pricey but beautiful. I took a Disney World trip the year after the cruise and the value of pre purchasing pics is incredible. Once your cruise is booked you can go online and choose your photo package you want. I am also taking advantage of wearing bathing suits to board so we can enjoy the pools and Aqua Duck before sailing, also we previously missed the Sailing Party and dont want to miss it this time. I will have 7 grandkids with me this trip, 6 of them will be 8yrs old and younger (4 girls and 2 boys)!!! I am starting now to purchase princess dresses and pirate outfits. The little girls love to parade around like princesses themselves and what better way to come face to face with your favorite princess and be wearing her dress as well? I definitely want to let the kids have more time in the Oceaneer Club. I learned of the Fish Extender program from our next door cabineers previously and immediately joined a Facebook group when I got home. So I am eager to start making ours this fall and getting items together and of course having the kids help me with ideas. I am sure there is more I am forgetting to write, but I hope this has helped.